We went for an aperitif before lunch on Saturday, to the Vermut Bar. 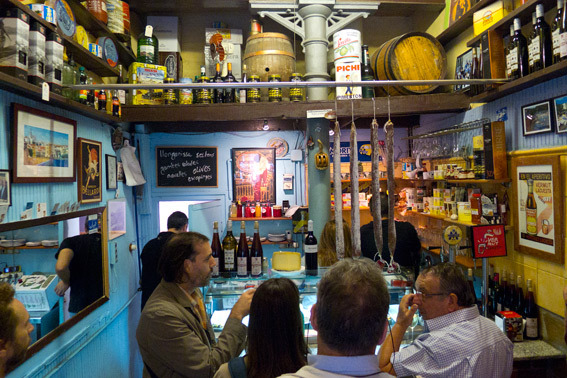 On Carrer de les Magdalanes there are three Vermut (vermouth) bars, all run by the same people. Vermouth could be described as a fortified or tonic wine, made with herbs and some additional, stronger alcohol, drunk medicinally until the latter half of the 19th Century, where it then became popular in cocktails, such as the vodka martini. There are red and white vermouths, sweet and dry. I particularly like the house red, poured from a tap like beer and served ice cold with an olive. I believe Oli’s favourite of the three bars is the small one (pictured), in the middle of the street. 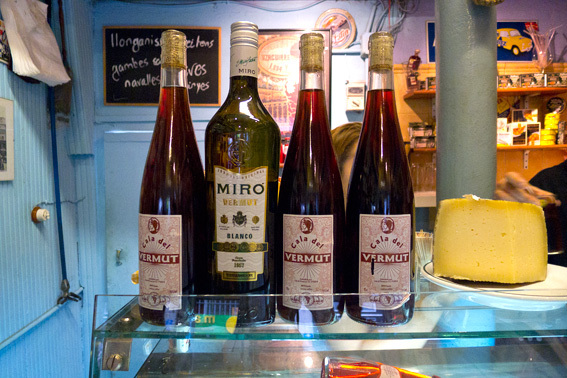 To go with the vermouth, they serve little tapas, such as anchovies, olives and mussels. Cala del Vermut is at: Carrer de les Magdalanes, 6, 08002, Barcelona. 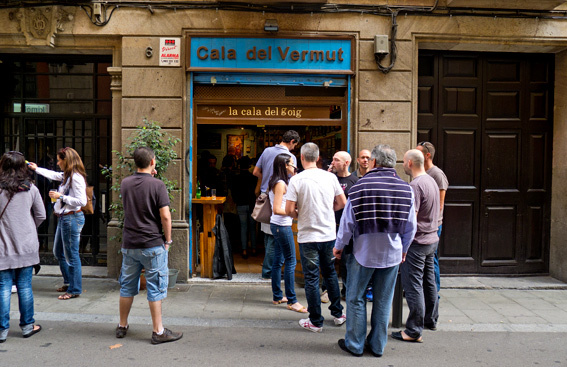 Further info on Barcelona Vermut bars. This entry was posted in Barcelona, Barcelona Bars and Restaurants, Drink, Eating Out, Fish, Food, Spanish and tagged anchovies, cocktails, mussels, olives, tapas, tonic wine, vermouth, vermut, vodka martini. Bookmark the permalink. I didn´t think I liked vernouth until Big Man took me to a bar in Granada where they serve their own…so good! And their first tapa is always half a jacket potato with olive oil and salt and eaten with a teaspoon…made me chuckle at first, now I look forward to it! Cala del Vermut definitely do a very nice rojo! I’m loving your barcelona posts. thanks.